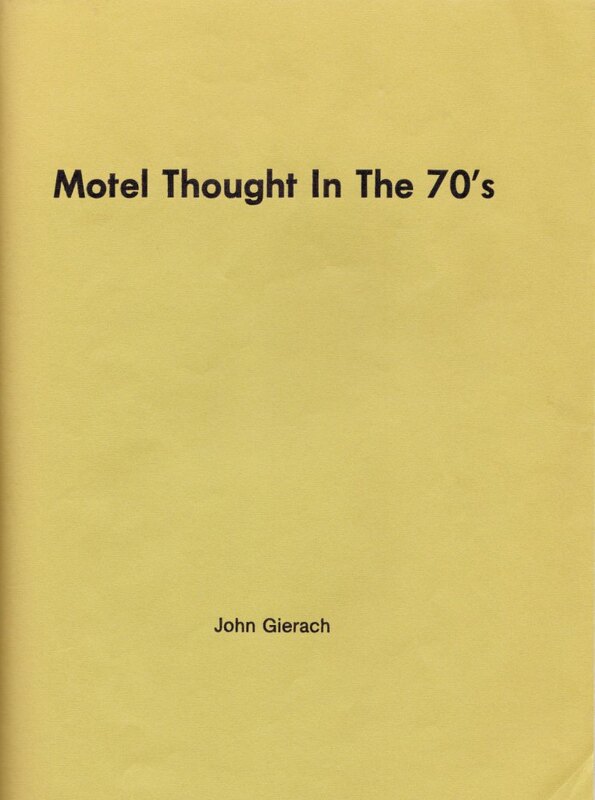 1) Motel Thought in the 70’s (1975), Lodestar Press (Boulder, CO). 16 pp. Wraps. Notes: Unknown # of copies, purported to be very few. 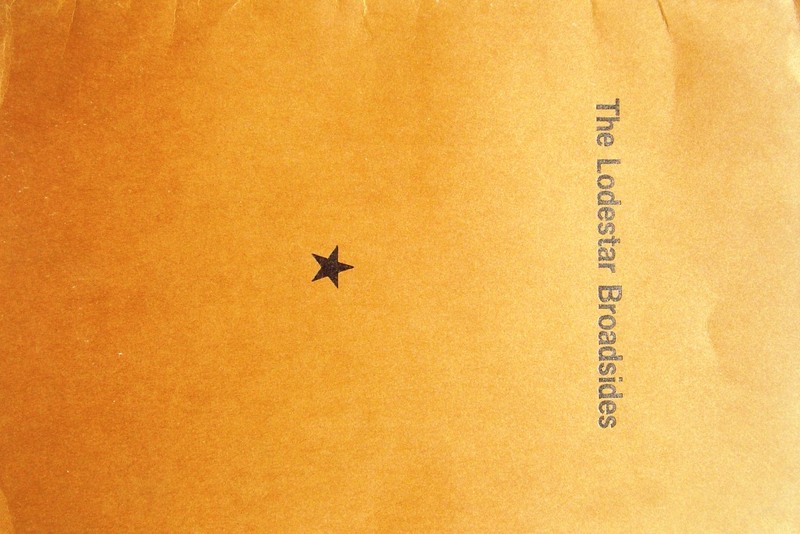 Lodestar Press consisted of John Gierach, John Moulder and Charley George. 2) Signs of Life (1977) Cherry Valley Editions, 55 pp. Notes: An edition of 1,000 copies. Gil Lipp photo credits (who is also credited with ascribing to John the nickname of ‘Grits’ – see The Pursit, Death, Taxes, & Leaky Waders, pp. 117,Cherry Valley also published beat poets Allen Ginsberg, & William Burroughs among others. 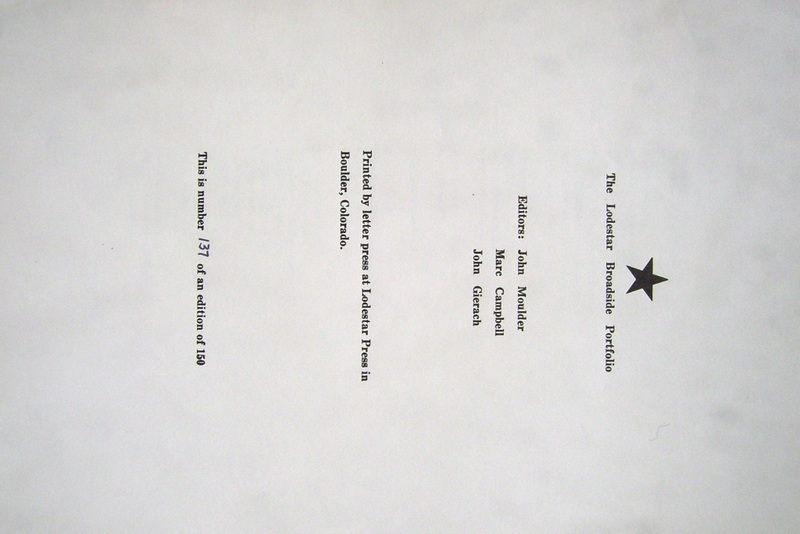 Notes: An edition of 150 copies. 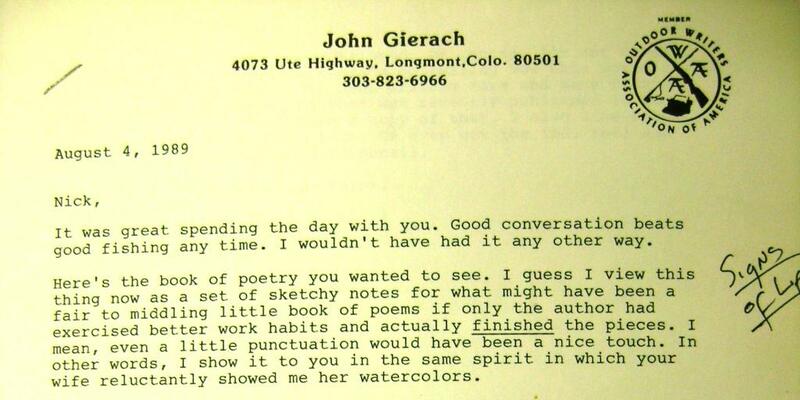 Notes: 8 poems by John Gierach. 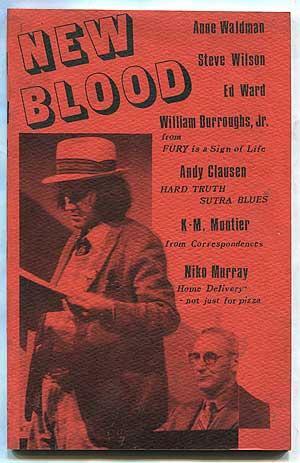 3) New Blood (1980), Volume 1, Number 1, 68 pp. Notes: First issue of this small press poetry magazine. Includes a review written by John Gierach for poet Reed Bye’s “Some Magic at the Dump” and “Erstwhile Charms”. Edited by Waldman and Bye. Cover art by Glen Baxter, Published by Artz Press. 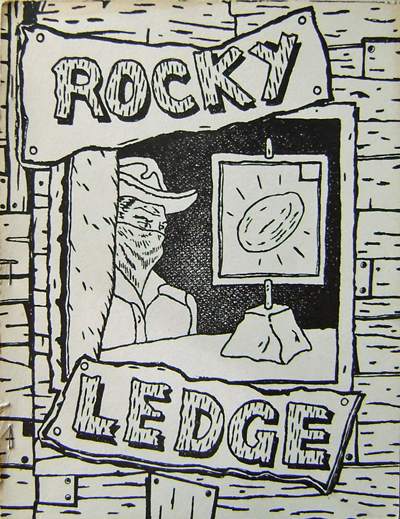 It would be interesting to see the eight poems from the 1979 “Rocky Ledge”. 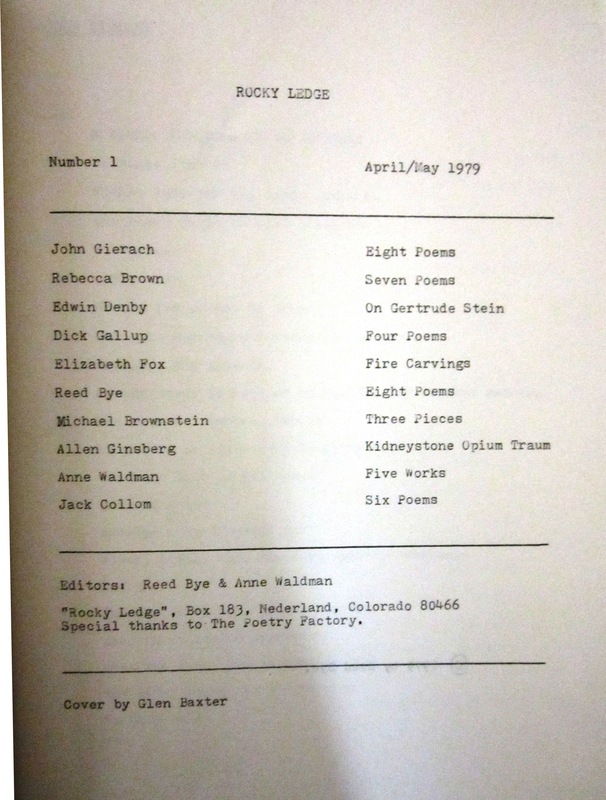 Mr. Gierach is accompanied by a number of well-known and formidable poets in that issue.